Jaydee Custom Guitars was established in 1977 by Birmingham guitar luthier John Diggins. 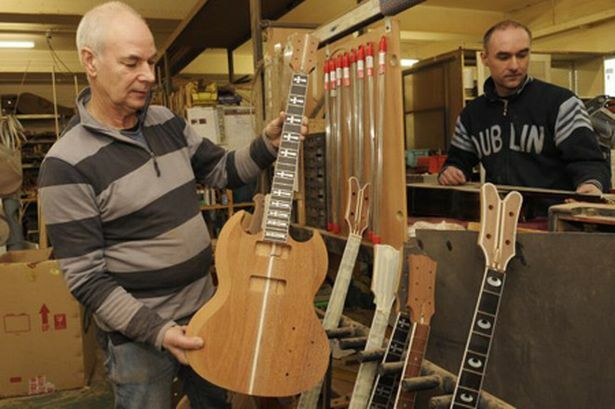 John has made and repaired guitars and basses for musicians all over the world from his workshop in Digbeth, with his list of clients including Tony Iommi (Black Sabbath), Angus Young (AC/DC), and Roy Orbison. John’s connections with rock royalty are not fleeting: he toured the East Coast of America in 1975 with Black Sabbath as a guitar technician for Iommi. John made Iommi’s iconic ‘Old Boy’ SG on his kitchen table in two weeks before joining the band in the states. The guitar is one of Tony’s favourites still used today, and it reputed to be one of the most photographed in existence! Due to unprecedented demand, the waiting time for a new Jaydee custom guitar is now over 16 months! While you’re waiting, why not visit the Jaydee website to learn more about this fantastic trade and the history behind this hidden Digbeth enterprise.